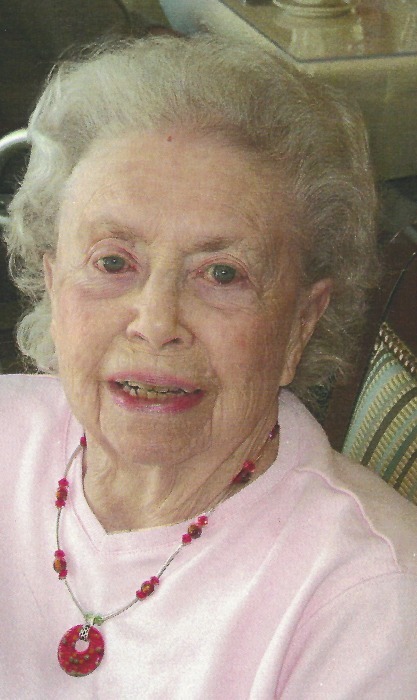 BRAINTREE – CARVER Marjorie (Beane) Fall passed away on February 8, 2019 at the age of 102. A Memorial Service for Marjorie (Beane) Fall, age 102 of Carver, formerly of Braintree will be held at the C. C. Shepherd Funeral Home, 116 Main St., Carver at 11:00 a.m. on Friday, Feb. 15, proceeded by visiting hours from 9:30 – 11:00. Mrs. Fall was born in Quincy, MA the daughter of the late Sydney C. Beane and Barbara K. (Ries) Beane and graduated from Weymouth High School and Simmons College. She was President of her class at Simmons. After graduation she became secretary to the Superintendent of Nurses at the Deaconess Hospital in Boston, then secretary to the president of Dartmouth College in Hanover, NH. Following that she was secretary to the Dean of Admissions at Simmons College. Still later she became executive secretary to the Board of Assessors in the Town of Braintree, retiring in 1976. Mrs. Fall was active in the First Congregational Church of Braintree as a choir member, a Deaconess, Church school teacher and past president of the Sodalitas Club. She was also past president of the South Shore Simmons Club and a longtime member of the Bow Ties of Weymouth (all former members of the Order of Rainbow for Girls). She was a former volunteer at the Massachusetts Respiratory Hospital in Braintree and was a member of the Friends of that Hospital. After moving to Carver she became a member of United Parish of Carver. She was also a member of the South Meadow Village (Carver) Association. Travel was her principal enjoyment as she and her husband travelled extensively in the United States, Canada, Europe, the Caribbean and Alaska. Wife of the late Robert Browning Fall, she is survived by two daughters: Susan Miller of Carver (and her late husband Stephen) and Betsy McGuiggan and her husband James of Plympton; four grandchildren: Brad Sweeney and his wife Jennifer of Marshfield, Kathryn Pye and her husband Charles of Rangeley, ME, Nancy Nicklas and her husband Robert of Plymouth, and Kevin McGuiggan and his wife Jennifer of Carver. She is also survived by eight great grandchildren: Erin and Ali Sweeney , Olivia and Charlie Pye, Haley and Colin Nicklas, and Ryan and Matthew McGuiggan as well as several nieces and nephews. In lieu of flowers, donations may be made to the American Heart Association or the United Parish of Carver, 115 Main St, Carver, MA 02330. Arrangements have been made by the Mortimer Peck Funeral Home of Braintree, MA and J.J Shepherd Funeral Home of Carver, MA. Online obituary may be viewed at peckservices.com.